​Northern Nevada Adult Mental Health Services (N.N.A.M.H.S.) is currently seeking full- and part-time, Licensed Psychiatrists for our inpatient facility, outpatient clinic and mental health center located in the Reno/Sparks area of Nevada. Near beautiful Lake Tahoe in Northern Nevada, we offer a destination location to live, work and play. N.N.A.M.H.S. is a State of Nevada agency whose mission is to provide psychiatric treatment and rehabilitation services in the least restrictive setting to support personal recovery and enhance quality of life. As an innovator in program design and advanced service delivery systems, we provide a full range of service offerings to best meet the needs of our consumers. We are accredited by the Centers for Medicare and Medicaid Services and by the Joint Commission. Our greatest asset is over 230 seasoned professional staff, dedicated to the betterment of the lives of our consumers. Because we are committed to a culture of life-long learning, our employees know that N.N.A.M.H.S. is a place to grow, develop and build careers that are both dynamic and satisfying. It is the intention of Northern Nevada Adult Mental Health Service to provide an environment which fully respects human dignity and consistently reflects human caring. NNAMHS has an active resident program and offers possible University Medical School Affiliation. Along with the opportunity to take the lead in innovative care and treatment for adults with severe illness, working for N.N.A.M.H.S. offers significant advantage. We offer flexible and innovative scheduling in our inpatient facility and outpatient staff members enjoy holidays and weekends off. DESCRIPTION: The incumbent is responsible for assessing and evaluating patients. Planning and reviewing care and treatment of individual patients, prescribing medications; and preparing reports, medical records, case histories and interpreting medical assessments. Licensed Psychiatrists also participate in staff meetings and required committee meetings. EDUCATION AND EXPERIENCE: Must possess and maintain current licensure as a psychiatrist issued by the State of Nevada Board of Medical Examiners. Must be Board Eligible or Board Certified. Must possess and maintain DEA certification and State Board of Pharmacy certification and CPR certification. Fingerprinting and a background investigation through the FBI and NHP are required. The employee is responsible for all associated fees. SALARY AND BENEFITS: Potential earnings up to $176,902. Excellent benefits package including health, dental and vision insurance. Public Employees Retirement Plan, three weeks and paid vacation, three weeks sick leave, paid holidays, deferred salary opportunity, and no social security tax. Additionally, Nevada offers its workers the advantage of no State tax! Relocation assistance may be available. The presence of Nevada's earliest inhabitants, beginning about 12,400 years ago, is marked by many petroglyphs and archaeological sites. Baskets, decoys, and ingenious traps are evidence of the resourcefulness of these early people in a harsh and arid environment. European explorers traveled through Nevada in the early 19th century, but it was not until 1851 that the first settlements were established. 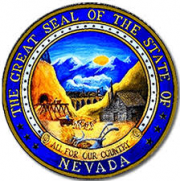 An Act of Congress created the Territory of Nevada on March 2, 1861. James W. Nye of New York was appointed Nevada's first Territorial Governor by President Abraham Lincoln later that year. On October 31, 1864, President Lincoln proclaimed Nevada's admission to the Union as the 36th state. The State's first elected Governor, Henry Blasdel, took office on December 5, 1864. Today, Nevada is the nation's seventh largest state in land area. Several hundred mountain ranges cross its landscape, many with elevations over 10,000 feet. In contrast, the State's lowest point (along the Colorado River) is only 470 feet above sea level. From majestic mountains to desert valleys, nature has endowed Nevada with diverse and unique ecosystems. The Nevada Legislature has honored the State's natural resources and cultural heritage with a variety of State designations described below.